Dr. Greg Ceyhan is a double graduate of McGill University in Montreal, Canada. He received his BSc. in Anatomy in 1991 and then graduated from dental school in 1995. After his dental studies, Dr. Ceyhan completed a one year general practice residency at the Sir Mortimer B. Davis Jewish General Hospital where he learned more complex dental techniques. He was one of 6 dentists, out of 100 applicants, accepted into one of the best dental residency programs in Canada. 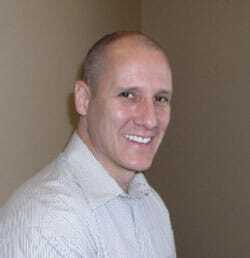 After 5 years of private dental practice in Montreal and in Ottawa, he decided to pursue his career south of the border and moved to Phoenix in December of 2000. 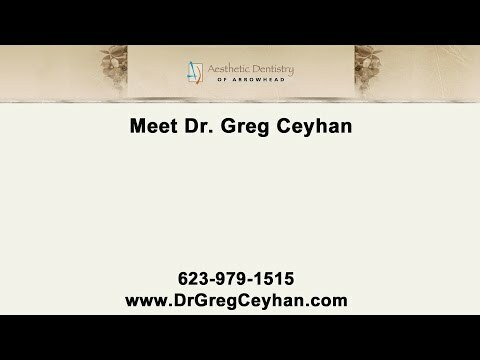 Dr. Ceyhan is actively involved within his community. He was a hockey coach for five years, for the Thunderbird High School varsity hockey team. In his spare time he enjoys playing hockey, golf, reading journals, attending study clubs and furthering his dental education through continuing education courses as well as teaching at Midwestern University School of Dental Medicine. Dr. Ceyhan is involved in a local dental study club, where the focus is complete dental care. 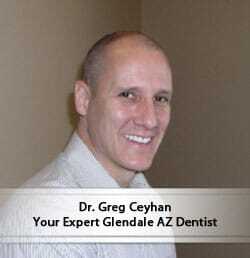 Dr. Ceyhan has held multiple dental licenses in Canada as well as Arizona. He has attended hundreds of hours of continuing education courses to stay up to date with the ever changing and dynamic field of dentistry. The majority of his time is spent educating his patients on the benefits of comprehensive care, Implant Dentistry and Aesthetic Dentistry. 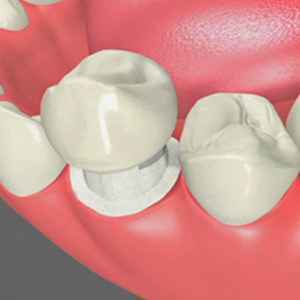 Currently he is furthering his education by attending courses at the Kois Center in Seattle and has attended courses sponsored by numerous dental organizations. He is a current member or former member of the Arizona Dental Association and American Dental Association, as well as numerous Canadian dental societies and clubs.